Watch as these Teenage Mutant Ninja Turtles snap into action, exhibiting real Ninja moves. 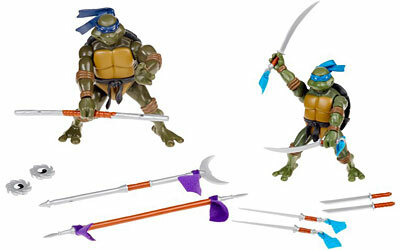 Each toy combat warrior figure comes with its own unique gear for smashing action. Also comes with trading card that displays your turtle's unique move. Based on the characters seen in the new animated TV series. Five action figures in the assortment.